May 2013 - Bluewater Productions newest comic book release this week tells the story of the physicist, cosmologist, and author Stephen Hawking. Released today "Stephen Hawking: Riddles of Time & Space" features an illustrated version of his life story. 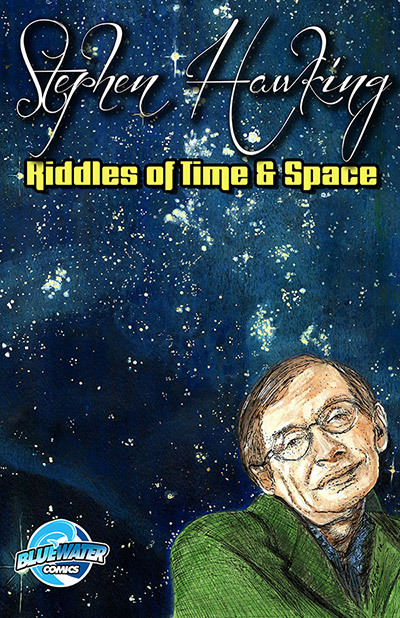 "Stephen Hawking: Riddles of Time & Space" is written by Michael Lent & Brian McCarthy with art by Zach Bassett. The comic book features a cover by Robert Aragon.